This easy chicken liver pate, as its name implies, couldn’t be simpler to toss together. Just butter, brandy, shallots, and chicken liver goodness. 1. In large skillet over medium–high heat, heat 1 tablespoon oil. Fry the chicken livers, turning the livers occasionally and lowering the heat as necessary, until browned on the outside and still pink on the inside, 3 to 5 minutes per side, depending on the size. Be careful not to overcook the livers or your pâté will be grainy. Go ahead and slice into a liver to check for doneness. 2. Transfer the cooked livers to the bowl of a food processor and return the skillet to the stove over medium-low heat and add the remaining 2 teaspoons oil along with the shallots. Cook until the shallots have softened, about 3 minutes. Add the thyme to the skillet and then carefully pour the brandy into the skillet. (Use caution and stand back as you slowly and carefully add the brandy to the pan. The alcohol may ignite and flare up but will die down.) Continue to cook until the alcohol has reduced by half, about 3 minutes. Scrape the contents of the skillet into the food processor along with the chicken livers, add 10 tablespoons softened butter to the food processor, season with a little salt and pepper, and give it all a good whiz until it’s smooth. This could take up to 3 minutes. Taste the pâté and, if desired, add more brandy, thyme, salt, or pepper. 3. To give the finished pâté a velvety texture, use a spatula to push the mixture through a very fine sieve or, for a more rustic texture, omit this step. Transfer the pâté to a ceramic or glass bowl. If you prefer to devour the pâté straight away spread it thickly on a piece of crusty bread, such as sliced baguette. If you prefer to use it within 24 hours, cover and refrigerate it for later. If you want to enjoy the pâté up to 1 week later, slowly melt 1 stick unsalted butter in a small saucepan until the golden liquid and the white milk solids separate from the liquid. Pour the golden clarified butter onto the pâté, leaving the milk solids in the pan. The pâté must be totally covered by the butter so that it’s airtight. Cover and refrigerate for up to 1 week. 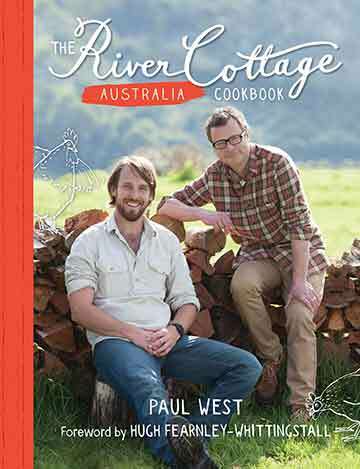 Easy Chicken Liver Pâté Recipe © 2016 Paul West. Photo © 2016 David Leite. All rights reserved. All recipes and photos used with permission of the publisher. This is an earthy and delicious version of chicken liver pâté. The perfect hors d'oeuvre with a glass of Riesling. The livers took 5 minutes per side and I did cut into one to make sure it was still pink inside. I tasted the pâté after whizzing it in the food processor and added an additional 1/2 teaspoon salt. I did not push the mixture through a very fine sieve--we enjoy the rustic texture instead of a velvety texture. We enjoyed our pâté with toasts after chilling it for 4 hours so I didn't top it with clarified butter. This pâté could either be an elegant hors d'oeuvre or just enjoyed simply with a glass of wine. 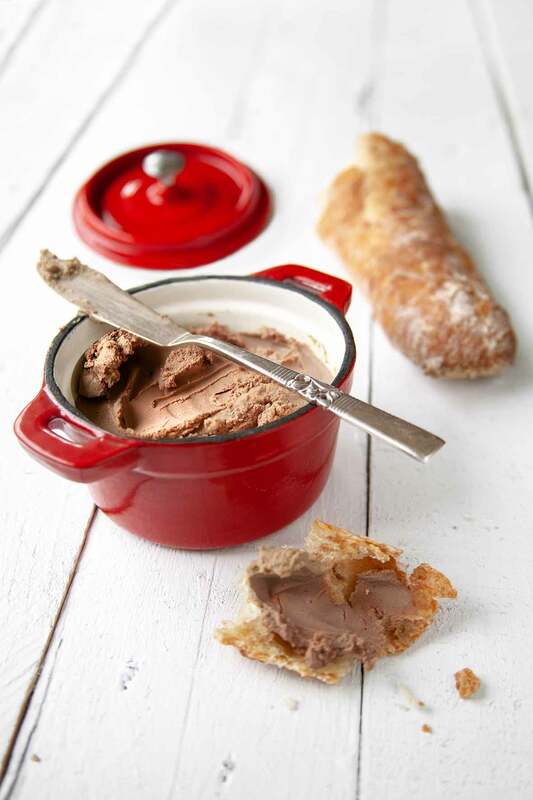 How could anyone NOT try this chicken liver pâté recipe? Really, chicken livers blended with a ton of butter and Cognac? How could this not be good? Well, I made it, we ate it, and it was amazing. Creamy, flavorful, and just plain delicious on a great chunk of bread. It was my first time working with chicken livers so there was a learning curve involved but it was worth it! After the chicken livers were in the pan for 1 minute I began to turn them and realized that they were cooking very quickly! I removed the pan from the flame to test one and felt that it was beyond pink but not "well done." I ended up cutting into every liver and all but a couple were "done." I left the two in the pan to continue cooking with only the residual heat and that worked fine. Finally I was ready to watch the miracle of food processors happen. And it did. After about 3 minutes, I stopped to taste and adjust. Salt and pepper were fine but frankly, the Cognac needed a little adjusting. I added another 2 tablespoons and processed another minute. The flavor was perfect but there were bits of the browned parts of the liver that had not incorporated into the paste. I poured all the mixture into a fine sieve and worked it through with a spatula. The final product was perfect. I was able to fill (well, almost fill) three, four-ounce Mason jars and one more about hlfway full. The half full one was gone in 30 minutes and the other three have been topped off with the clarified butter and are waiting their turn to be devoured. I had hoped, if the recipe turned out well, that these cuties would become hostess gifts but that won't happen. I'm not a nice person. I used Grand Marnier instead of brandy since my liquor cabinet was devoid of brandy. Other worthy substitutions could include port, Marsala, or Madeira instead of brandy. I added the booze and within 30 seconds it had flamed and reduced to almost nothing. I did strain the pâté in order to achieve a fine texture but I don’t think it’s totally necessary. You will experience a loss in volume if you do strain it. I ended up with three 4-ounce jars of pâté. This pâté couldn’t be easier or tastier. My Thanksgiving guests gobbled it up. (Sorry, couldn’t help myself!) Using a fine strainer really put this over the top–elegant and creamy. We’ll be making this again for Chrismas Eve dinner. Tuck, that sounds great. And I think your Christmas Eve guests will be quite lucky! I made this for Xmas – subbed vermouth for brandy. Served it with toasted baguettes. It was delicious! Magnificent, Martha! Both the substitution and that you liked it so! Wishing you and yours all the magic of the season…!